Degendo is a small rural community (pop. 650) in the Amhara Region of Ethiopia where fresh clean water for drinking, cooking, bathing, and livestock is in short supply. 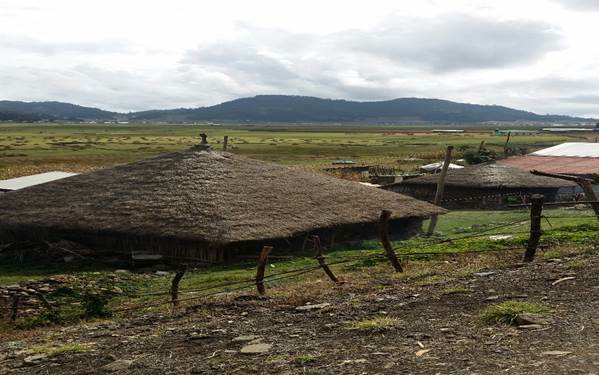 “Like many of the rural kebeles (the smallest administrative unit in the country) in the region, Degendo lacks basic infrastructure including clean water supply sources,” says Yimer Mohamed, a field partner of Bread and Water for Africa® there. Residents have been relying on small streams for water from the unprotected source which is a major cause of illness in the community, particularly among the children, many of them who suffer from chronic diarrhea which can lead to even more severe illness. In November we heard from Yimer about his hopes for having a well dug to serve the community for an estimated cost of $11,405. No doubt that’s a lot of money, however, it amounts to only $17 per person for the 650 children, parents and elders it will serve. Thanks to the generosity of our supporters during the past 33 years, we have been able to save thousands of children from having to walk miles and miles fetching water from contaminated sources for their families and prevented them and tens of thousands more from preventable and potentially deadly illness. Your gift of just $17 is the equivalent of providing clean safe water for a single child or parent; your gift of $170 will be such for ten. The need for your help cannot be over-emphasized, please give what you can today. In the United States, access to clean water and having an abundant supply of farm-fresh eggs for cooking and baking are taken for granted. Very few homes in the U.S. don’t have running water and a carton of eggs in the refrigerator. That’s not the case in Sierra Leone, where we have been working to construct a water well and create a poultry farm in cooperation with our partner there, Faith Healing Development Organization (FHDO). Within the next few weeks, the poultry farm with a capacity of 3,000 chickens, is slated to open. This will provide thousands of eggs for the local community and create job opportunities for the residents of the village of Yankansa. In conjunction with the poultry farm, a water well was dug to provide clean water for the chickens, as well as serve thousands of people living in the surrounding area. Moriba Town, Sierra Leone, has an estimated population of more than 5,000, and thousands more in the surrounding towns and villages of the Bonthe District. 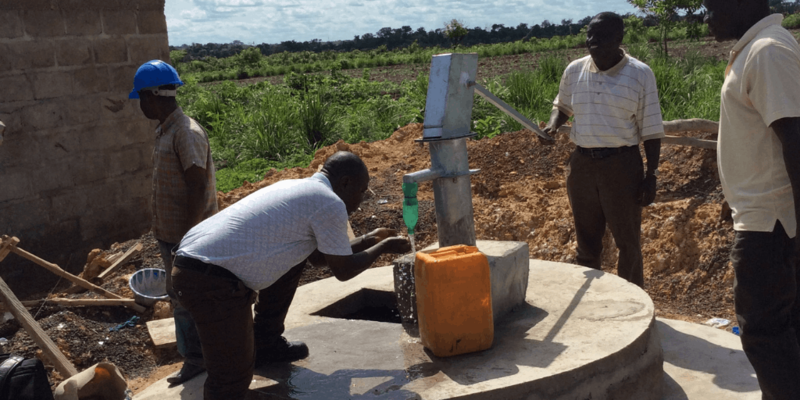 However, in the impoverished country “access to [clean water] in the provinces is a big challenge and the Bonthe District is no exception,” says our longtime partner Rev. Frances Mambu, executive director Faith Healing Development Organization (FHDO). What that means for the thousands of children, parents, and elders living there is that they are faced with two choices when it comes to drinking water – and neither is good. The first, and most common, is to drink untreated water from streams, risking illness, parasitic infections and even death every time they take a sip. The second choice is to take what meager funds the family has and spend it on bottled water, a “luxury” which can prevent food from being put on the table, school fees for children being paid and medicines and treatment for illness. “The need for a water processing plant at Moriba Town cannot be over-emphasized,” he said. 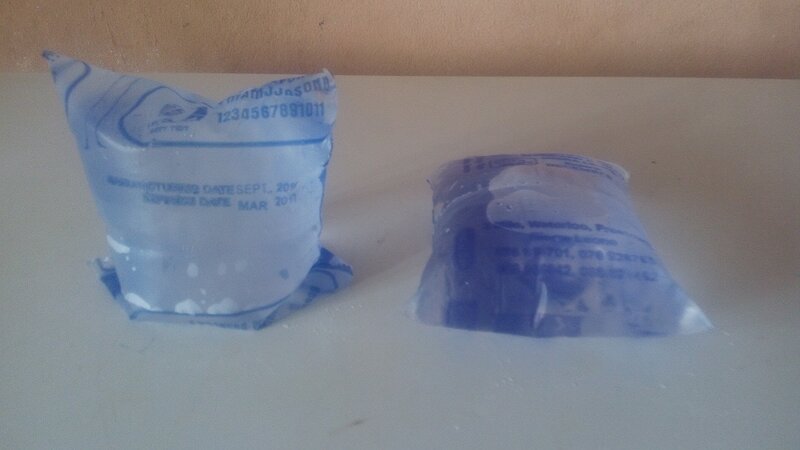 “Currently, sachets (plastic pouches) and other purified water is a luxury in the communities due to the fact that they have to be purchased and transported all the way from Freetown. So, a few years ago when Rev. Mambu asked for support from us to construct a water purification plant and purchase the equipment necessary to package it into sachets, we turned to our supporters – and thanks to them it’s coming to fruition soon. 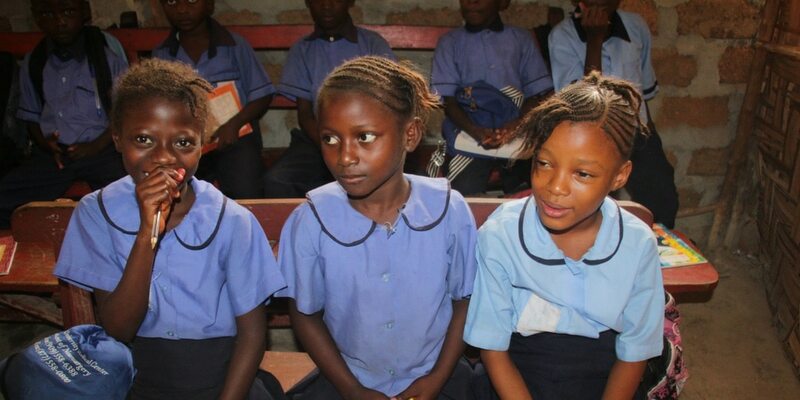 In addition to making safe water affordable for thousands, the excess revenue from the operation will go to support a local orphanage operated by FHDO. Thank you to all who made Rev. Mambu’s dream a reality! At the Logos Academy School in the small village of Nafami in Sierra Leone there are 300 students who don’t have convenient access to safe drinking water – but thanks to our supporters this dire situation will change by the end of the year, and the students’ lives will be transformed. Additionally, the well will serve a population of 1,000 in the surrounding village, ensuring that they will no longer be forced to walk long distances carrying 5-gallon containers of water weighing 40 pounds on their heads from unsafe sources. 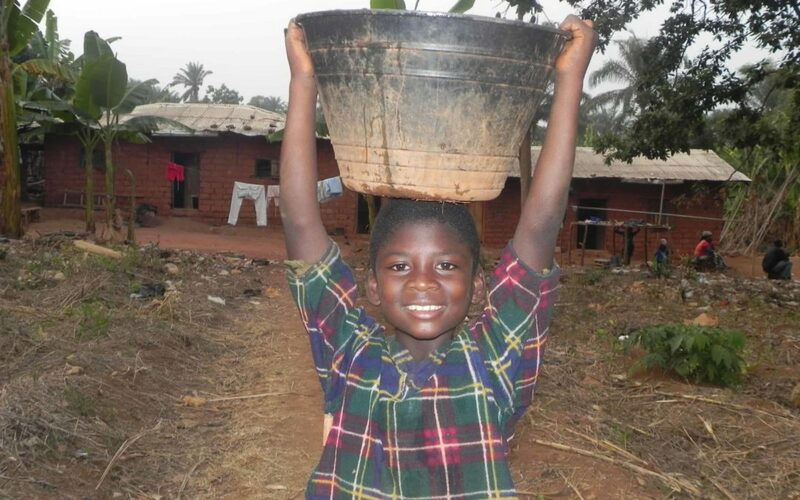 We are doing all we can to expedite the digging of this much-needed well by sponsoring our “Wata for Salone!” (Water for Sierra Leone) 5K Run/Walk to be held on Sunday, June 3, in Arlington, Virginia. And even if you can’t take part in the event itself, you can still help us reach our goal of $7,500 by sponsoring a participant. For more information, please visit https://www.generosityseries.com/charities/bread-and-water-for-africa/d.c.–district-of-columbia/. What would you choose: Safe Water or an Education? In most villages in Sierra Leone, school-age girls and boys walk up to five miles a day to fetch water for their families. By the time they get back home they are physically exhausted from carrying 40-pound jugs of water on their heads. To make matters worse, many of these children are unable to attend school regularly because they waste so much time just carrying water. Imagine the terrible choice faced today by their mothers – water or an education for their children! But, with assistance from Bread and Water for Africa®, several communities are making progress. There is hope. A little goes a long way and we hope to raise $15,000 by the end of this month to provide fresh water for years to come to thousands of grateful families – and children who will be in the classroom getting an education instead of doing a mindless chore. The United Nations’ World Water Day is recognized on March 22 to focus the world’s attention on the importance of water with a different theme each year and this year’s theme being “Nature for Water” – exploring nature-based solutions to the water challenges we face in the 21st century. We have been working for decades to provide access to clean water for thousands of African children, families, and elders through the digging of wells and installation of water lines to villages from clean water sources. We are profoundly aware of the risk of severe illness, and even death, that could be prevented by access to clean water. The World Health Organization (WHO) notes that in 2014 alone an estimated 842,000 people throughout the world, many in sub-Saharan Africa, died of diarrhea-related diseases such as cholera, dysentery, Typhoid fever and others caused by inadequate drinking water, sanitation and hygiene. In 2015, WHO estimated that some 330 million people in sub-Saharan Africa alone lack improved sources of drinking water, forcing millions of them – primarily girls and women – to walk long distances to fetch water, and return with 5-gallon containers weighing 40-pounds on being carried on their heads. We believe these young girls and teenagers should be in school instead of walking miles collecting water, frequently from unsafe, contaminated sources, and that’s why for some 20 years we have dug wells at schools, and open to the surrounding communities, relieving them of the burdensome task of fetching water. 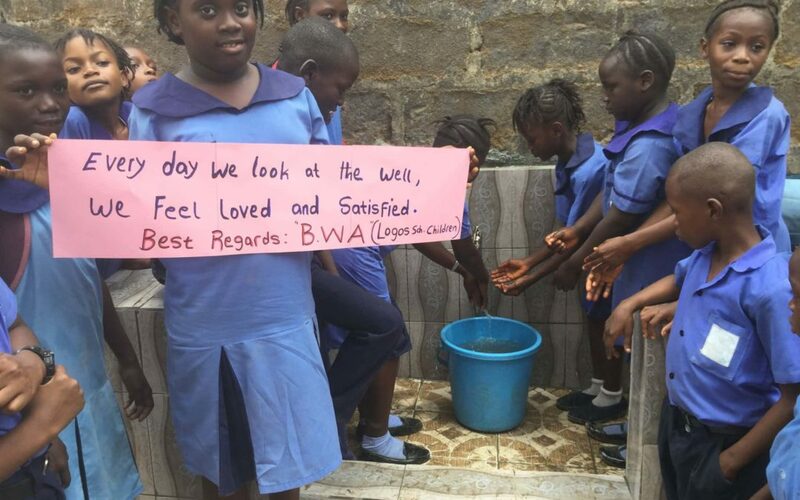 As you read this we are in the process of constructing such another well at a school in the village of Nafami in Sierra Leone which, when completed later this year, will serve the student body of 300 pupils and 1,000 more in the surrounding village. Learn more about our efforts to provide clean water to tens of thousands of Africans.